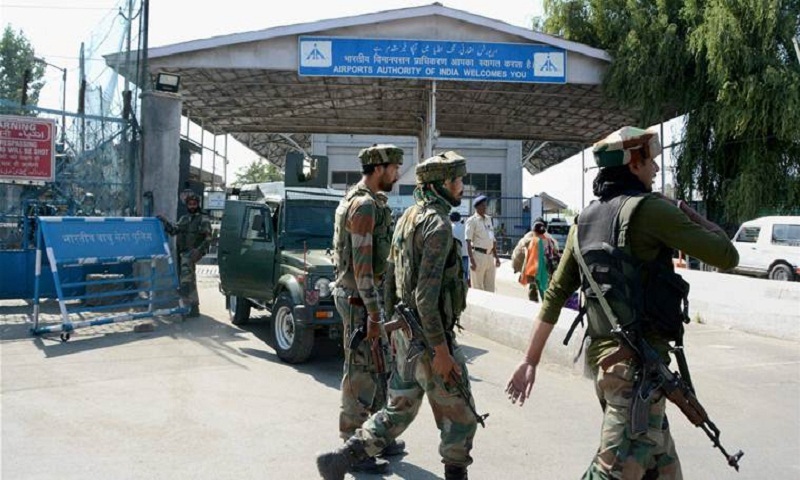 Following brief closure of Srinagar International Airport for civilian flights on Wednesday amid heightened cross-border tension, hotels in the Valley opened their doors to the stranded tourists and visitors, offering them free accommodation and food, report Hindustan Times. A number of hotels in Srinagar provided their contact numbers on social media informing tourists to check-in in case they are stranded. Playing a good Samaritan, prominent hotelier and chairman of J&K Hoteliers Club, Mushtaq Chaya welcomed everyone at his Srinagar property. “It is a gesture towards our beloved tourists stranded due to the prevailing situation in Srinagar. There are reports that many of them are running short of money as a result of which we have opened our doors for them,” he said. Other tourism stakeholders too announced free accommodation to the stranded tourists at a time when the arrivals have remained on the lower side. “We managed to accommodate some families after they approached us following our announcement and post on social media. We accommodated them in three rooms. No charges were collected for food or accommodation,” said the manager (catering), Nishat on the Dal Lake. As many as 25 flights were cancelled on Wednesday after India closed multiple airports in the wake of heightened tension between India and Pakistan. The highway was also closed due to bad road conditions. “They were frightened when the situation turned bad on Wednesday, besides the shutdown. We reassured them and provided them with basic accommodation and food,” said Sheikh Kaisar, a hotel owner in the Valley. The gesture was hailed by Kashmiris on social media who appreciated the generosity of their fellow residents. “A hotel from Agra wrote ‘dogs are allowed but not Kashmiris’. Now, at the time of difficulty, a hotel from Kashmir declares ‘everyone is welcome, free boarding and lodging until flights resume’. Salute #Kashmiri hospitality and humanity. Spread love not hate,” tweeted Ashok Kumar Pandey, a writer.